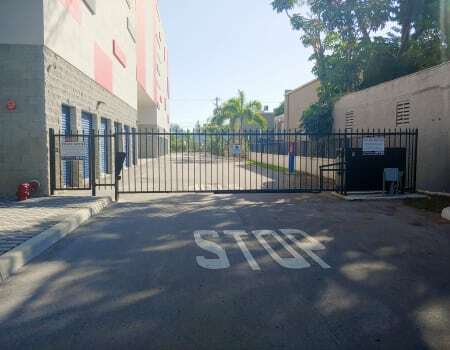 At StorQuest Self Storage, we’ve equipped our brand new North Miami Beach, FL, facility with all the features you need to get in, out, and onto your next adventure. We want you to spend less time moving and more time living your best life which is why we offer ground-level units with drive up access so you can quickly swing by, grab your paddleboard, and be on your way. To keep your heavy lifting to a minimum, our facility also has freight elevators so you’ll never have to worry about lugging your heavy gear up a few flights of stairs. We understand that everyone’s storage needs are different. Whether you need a climate-controlled unit for your musical instruments or are looking for a business storage for your booming business, you can count on StorQuest having your back. And with electronic gate access 7 days a week, you’ll never have to worry about missing out on life’s next adventure. Ready to make more room in your life for awesome? Contact our storage experts today to make it happen.